ChampionTutor specializes in tuition referral and education-related services to tutors and clients (parents and students). To help us serve you better, please take the time to review the following terms and conditions. By using ChampionTutor's services, you agree to these terms and conditions. You, as a tutor, have to ensure that you provide accurate, honest and complete information about yourself at all times. You must be a Malaysian, Permanent Resident or possess a student pass or employment pass conferred by the Republic of Malaysia at the point of registration. We have the right to refuse your application. We have the right to delete, edit or cancel your account at any time. You are responsible for all required registrations with the Employees provident fund as a self-employed person. This is because, you, as a tutor, are providing private tuition service under a contract of service to the client as an independent contractor. Tutors who are school teachers are required to obtain the necessary approval from the Ministry of Education before accepting any assignment from our company. You are responsible in safeguarding the confidentiality of your account and password, and preventing access to the computer when you are logged into our company's website. You are responsible for all activities, information, and any potential damages or loss under your account or password. You are not allowed to show or write your contact details in your profile. This may result in the cancellation of your account with us. By agreeing to our terms and conditions, you are granting us the permission to publish your profile publicly including, but not limited to (1) Tutor ID, (2) Personal Name, (3) Age Range, (4) Gender, (5) past schools attended, (6) qualification and results, (7) tuition rate, (7) time and availability for lessons (8) tutoring experience and (9) profile picture. At the point of registration, you have to be in possession of all the original copies of your qualifications as stated in your profile. You will need to present them to our company and the client at any time for verification purposes. Before or during your first tuition lesson with our client, you are required to submit your qualifications through the following methods: scan and email, fax, snail mail or hand-deliver to our coordinator or the client. Failure to do so may result in the cancellation of your tuition assignment. The tuition fee will be based on the tuition rate agreed by the tutor and client at the point of confirmation of the assignment. Our company's commission charged on tutors are based on the following calculations. In the subsequent lessons, tutor will get the full amount of the tuition fee. For any trial lessons conducted by the tutor, 50% of the agency's commission applies. Once the tuition assignment is confirmed (before the first lesson starts), the tutor cannot directly or indirectly cause the cancellation of the assignment or fail to show up. And if that happens, you will be required to compensate our company $50 as administrative charges. On top of that, your tutor account with us may be terminated. If the tutor terminates the assignment within the first month after the first lesson has started, our company will retain 50% commission for the no of completed lessons. Tutor also need to give advance notice at least 3 days before the next lesson to the parent and the agency. Failing to do so, tutor has to pay at least $50 penalty fee and the rest of the tuition fee which is supposed to be rendered to the tutor will be retained till the penalty fee is paid. 50% of the agency's commission still applies if the assignment is cancelled by the client right after the first lesson. If the client terminates the assignment within the first month, the total fees collected will be split equally between the tutor and our company. Under any termination situations, the client is required to pay the full fee for the number of lessons conducted by the tutor. The default venue of tuition is the students' place of residence, unless otherwise agreed upon by the client, tutor and our company. As the tuition rate has already been fixed at the point of confirmation among our company, the tutor and client, the tuition rate cannot be changed for the first month, unless approved by our company. As a tutoring service provider, lessons are conducted first before payment, hence once the service is delivered, payment has to be made, and it is non-refundable. ChampionTutor will not act as an arbitrator or mediator for any conflicts or disagreements that arise between the tutor and the client. We may be able to offer our suggestions and views when requested. You agree that you shall defend, indemnify, save and hold ChampionTutor harmless from any and all demands, liabilities, losses, costs and claims, including reasonable attorneys' fees, asserted against ChampionTutor and its employees, that may arise or result from any service provided or performed or agreed to be performed, or any tuition-related services provided by ChampionTutor. We are not liable for protection or privacy of electronic mail or other information transferred through the Internet or any other network provider that you may utilize. You agree to bear full and exclusive responsibility arising from such risks and consequences of your usage of the services provided by ChampionTutor. We may provide links to other Internet sites or resources. As we have no control over such sites and resources, you acknowledge and agree that we are not responsible for the availability of such external sites or resources, and do not endorse and is not responsible or liable for any content, advertising, products, or other materials on or available from such sites or resources. You further acknowledge and agree that our company shall not be responsible or liable, directly or indirectly, for any damage or loss caused or alleged to be caused by or in connection with use of or reliance on any such content, goods or services available on or through any such sites or resources. Why to Join ChampionTutor as a Part Time Home Tutor? ChampionTutor provides reliable tutoring services as well as offers prospective part-time tutoring jobs at good hourly rates to the part time home tuition jobs in Malaysia. Whether you are looking for a part time tutoring job or a full time tutoring job or home based tutoring job, ChampionTutor is here to help you gain access to whatever service your require. Sign up now at ChampionTutor to explore thousands of tuition assignments available on our platform. Why Choose ChampionTutor to Find Part Time Tutor Job in Malaysia? Although the tuition industry is on the boom in Malaysia, it is hard to find part time tutoring jobs that will offer you favourable rates and flexible working time. Besides, it would be challenging for you to keep up the pace with the student�s learning style or understand his requirements if there is no prior assessment on the needs of the student and what coaching services you can offer. 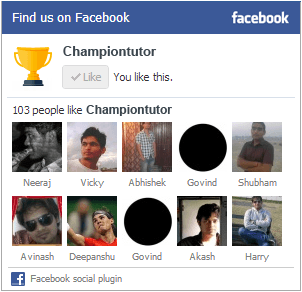 Here comes ChampionTutor! We are the leading tuition database listing in Malaysia and list some of the best tutoring jobs and tuition centres in Malaysia to ensure our students get the very best coaching regardless of the subject area. If teaching is your passion and you enjoy teaching difficult concepts in an engaging manner and would like to be a part-time tutor in Malaysia, we will be more than happy to welcome you on-board our amazing platform. We make every possible effort to provide you with the best tuition assignments in Malaysia at reasonable prices. How to Register on ChampionTutor for a Part Time Tuition Job in Malaysia? To get started, simply fill out the tutor registration form found on this page, followed by uploading your personal picture and academic certificates online. You will get an SMS when you have been approved to handle any assignment. You are recommended to provide your O-level and A-level results, along with your school information as well as any other relevant certificates you feel might increase your chances with us, if you want to be given priority for our tutor search. We have designed a user friendly form, where you need to tick the necessary options, and it takes just a few minutes to appear in our search results. Please read our terms and conditions given below before filling a registration form on our platform. We strive to provide the very best services to students and tutors, and make all possible efforts to give preference to their individual choices.